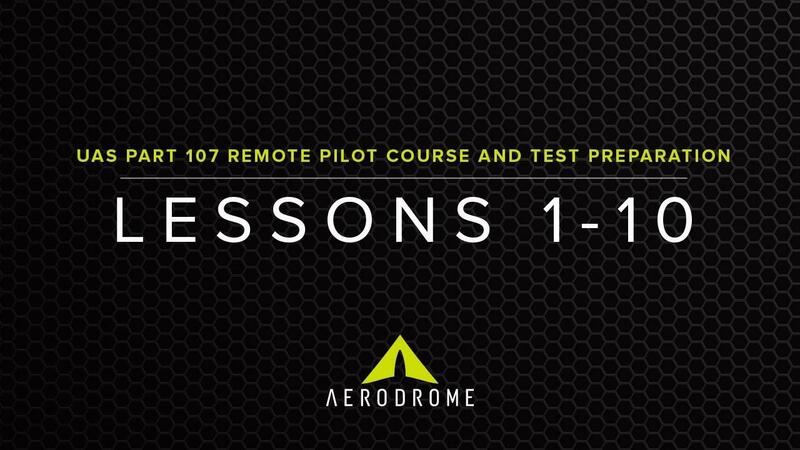 Thank you for purchasing Aerodrome's Part 107 Test Preparation Course! As you go through the course you will master the aeronautical knowledge required to safely operate a small Unmanned Aircraft System (sUAS) in the national airspace, and to successfully complete the FAA Knowledge Test for sUAS Operators. Demonstrate knowledge of Federal Aviation Regulations, regulations governing operations of UAS, understand different types of UAS operations, understand Title 14 (Aeronautics and Space) of the Code of Federal Regulations (CFR) including Part 107. Be able to identify National Air Space (NAS) and make flight decisions requisite to the flight plan.